Bianco off Queen features multilingual staff, laundry facilities, and dry cleaning/laundry services. Public areas are equipped with complimentary wireless Internet access. Limited onsite parking is available on a first-come, first-served basis (surcharge). Bianco off Queen has designated areas for smoking. Located in Newton, this luxury apartment building is steps from Auckland International College and Queen Street Shopping District. The Civic and Aotea Centre are also within 10 minutes. Auckland Britomart Station is 19 minutes by foot and Auckland Mt Eden Station is 24 minutes. 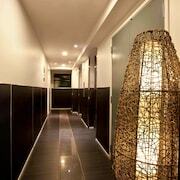 Valet parking, dry cleaning, and laundry facilities are available at this apartment building. WiFi in public areas is free. 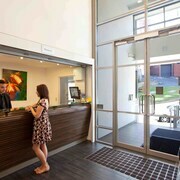 Additionally, a 24-hour front desk and multilingual staff are onsite. Each apartment provides a washer/dryer and a refrigerator, plus free WiFi and a flat-screen TV with digital channels. A microwave, a coffee/tea maker, and a hair dryer are among the other amenities available to guests. Housekeeping is available on request. 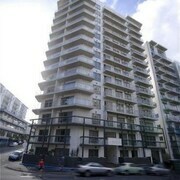 Bianco off Queen offers 57 forms of accommodation with washers/dryers and a safe. Fridges, microwaves and coffee/tea makers are provided. Bathrooms include a shower, complimentary toiletries and a hairdryer. Guests can surf the web using complimentary wireless Internet access. Flat-screen televisions come with digital channels. Housekeeping is provided on request. 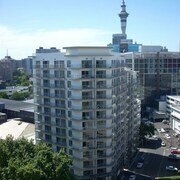 Rollaway/extra beds are available for NZD 30.0 per night. Please note that the complimentary WiFi is limited to 1 GB (gigabyte) per day, per room. Special requests are subject to availability at the time of check-in. Special requests can't be guaranteed and may incur additional charges. The name on the credit card used at check-in to pay for incidentals must be the primary name on the guest room reservation. Guests must contact this property in advance to reserve cots/infant beds, rollaway/extra beds and sofa beds. On-site parties or group events are strictly prohibited.